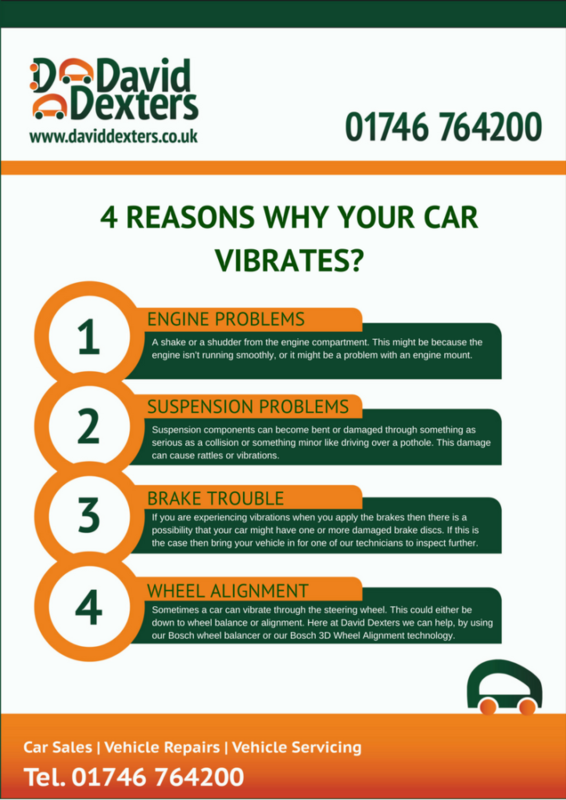 4 reasons why your car vibrates? Noticed that your car has been vibrating when you are out and about? Have a look at our infographic to find out more about what it could be. If you are experiencing any of the above then make sure you contact one of the friendly David Dexters team today.